I may have mentioned here that I talked myself into submitting a paper for possible presentation at my regional Costume Society of America symposium. It sounded like a good idea at the time, though I wasn’t even sure the paper would be accepted. Well, it was, and so I’ve spent way too much time over the past few months on the research and writing (and rewriting, and rewriting…) of it. But the symposium is this weekend, and I think I’m all ready, with a fancy PowerPoint and a new skirt fresh off the sewing machine. I wish I could take all of you with me, but since I can’t, I’m doing the next best thing. I’ll be posting the paper here over the next four days, without the fancy PowerPoint, but with the same photos with annotations. I hope you enjoy it. 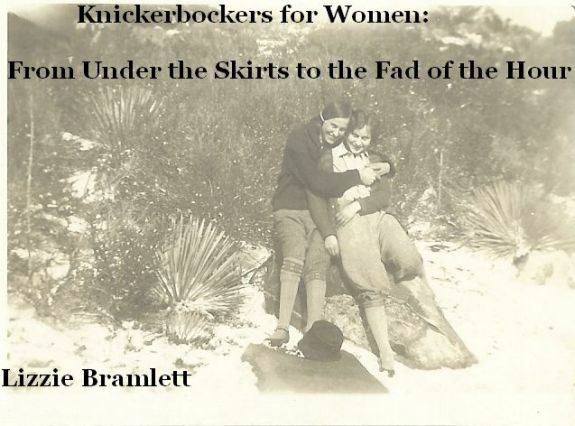 By the mid 1920s women hikers were openly taking to the trails wearing their knickerbockers and breeches, while the first women hikers, just two generations before them had to make do in the woods wearing skirts that dragged the ground. 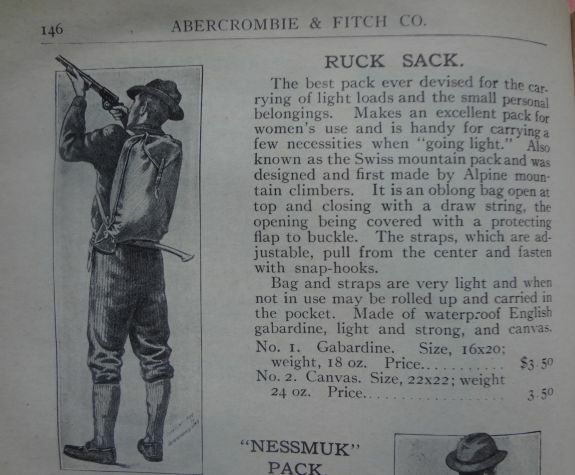 There are many factors that led to women wearing pants as a matter of course, and one of them is how the popularity of hiking and camping led women to adopt an increasingly practical way of dressing for the woods. Hiking as a pastime began in Europe. 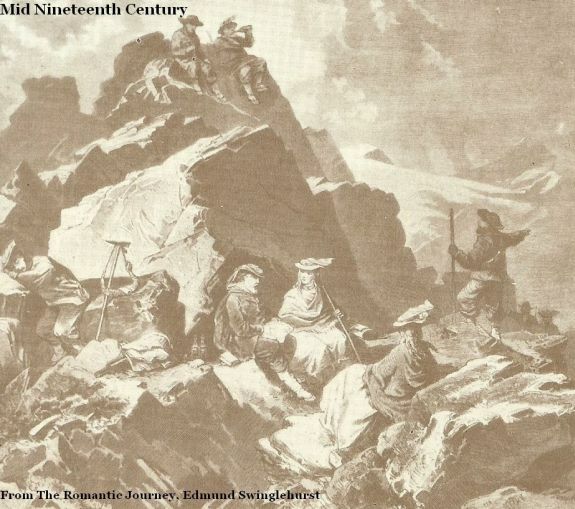 As early as the 18th century rich English travelers had been traveling to Switzerland for a bit of mountain rambling. Hiking tourism really took off with the formation of the Alpine Club in England in 1857, and with the first Cook’s tour to the Alps in 1863. By the 1880s walking, hiking, and rambling were common forms of exercise for both the men and women of Britain and the Continent. In the US the situation was different, with hiking not really being an attractive activity until late in the 19th century. As the US was settled westward, long distance walking accompanied by camping at night was not a choice, but a necessity. The wilderness was to be conquered, not enjoyed. In the mid 19th century many Americans were too close to the pioneer experience to have a positive view of the wilderness. 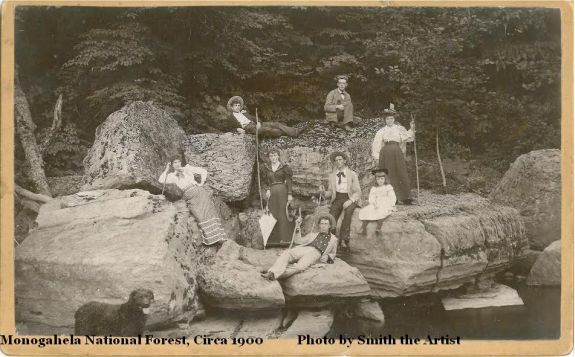 But even as American pioneers were continuing to move into wilderness areas, people in the settled East were taking a more romantic view of nature, perhaps being influenced by European writers and travelers. At the same time improvements in transportation, especially the railroad, made getting to wilderness areas much easier. As improved technology gave Americans more free time, the idea of vacations became popular with even the middle and working classes. Magazine articles and books began recommending an outdoor vacation as a cheaper and healthier alternative to resorts and beach holidays. 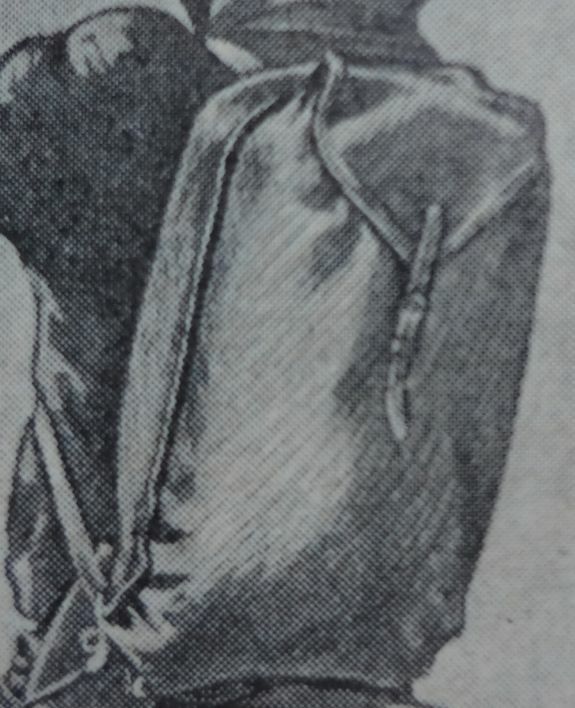 Tomorrow: What women hikers wore in the 19th century. 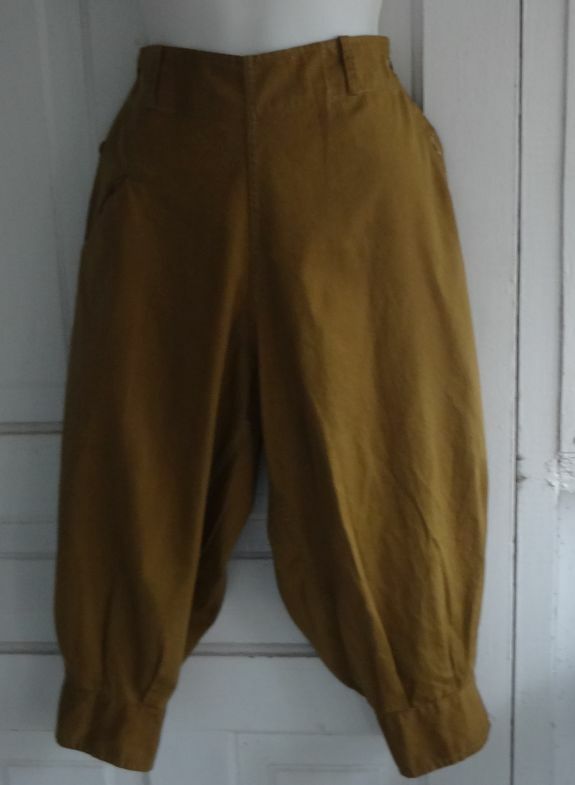 I thought that with all the talk about knickers and hiking clothes that you might want to see examples from my collection. The set above is a matching linen vest and knickers. 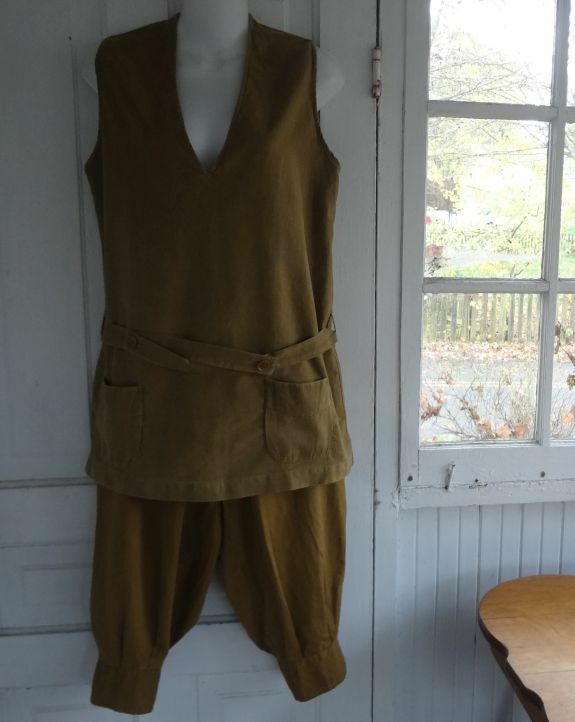 There is a very similar set in a 1925 B. Altman& Company catalog which shows the vest and knickers paired with a blouse, plain wool cloche, knee socks and brogan shoes. I was lucky enough to find a similar blouse which I’m showing here. 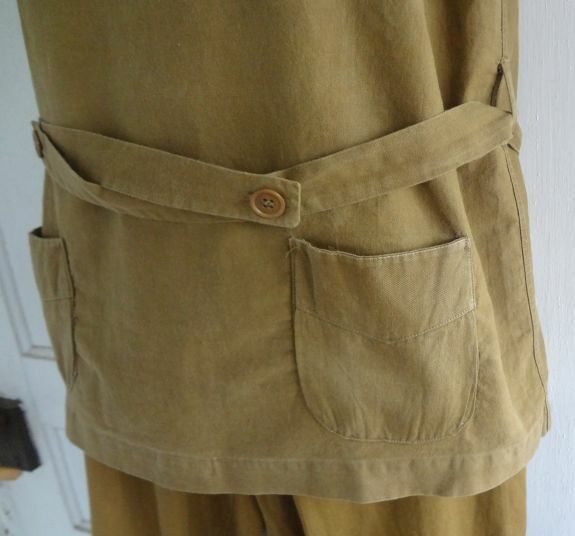 The vest has no closure except for the belt that buttons below the waist. The knickers button on both sides. I’ve seen this “The Fad of the Hour” in other knickers from the 1920s. In looking through my catalogs and magazines I first saw knickers for women in a 1919 catalog, and their last appearance was in 1929. That’s a pretty long lasting fad! 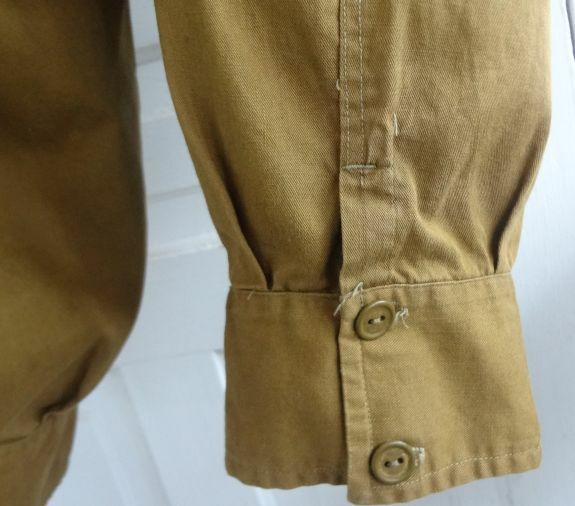 And just because I love this detail, here is the two button closure on the leg band. Here is another pair, this time in black and white linen tweed. 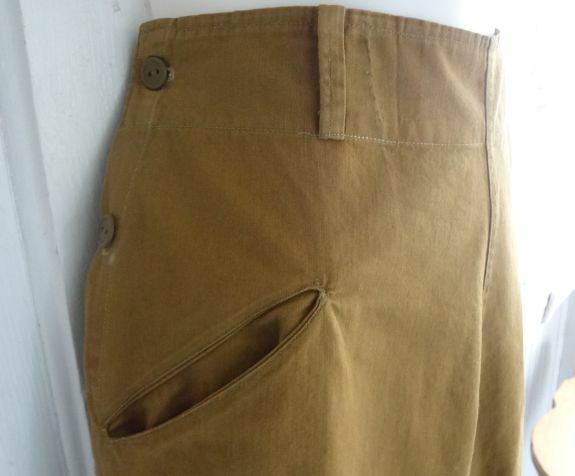 Note how they button on both sides of the waist. 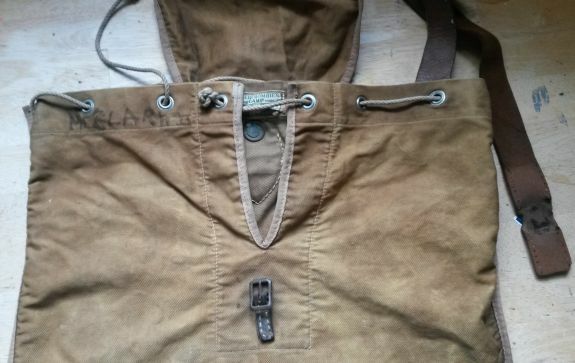 There are pockets on both sides as well. Just for fun I paired these with a late 1920s sweater. 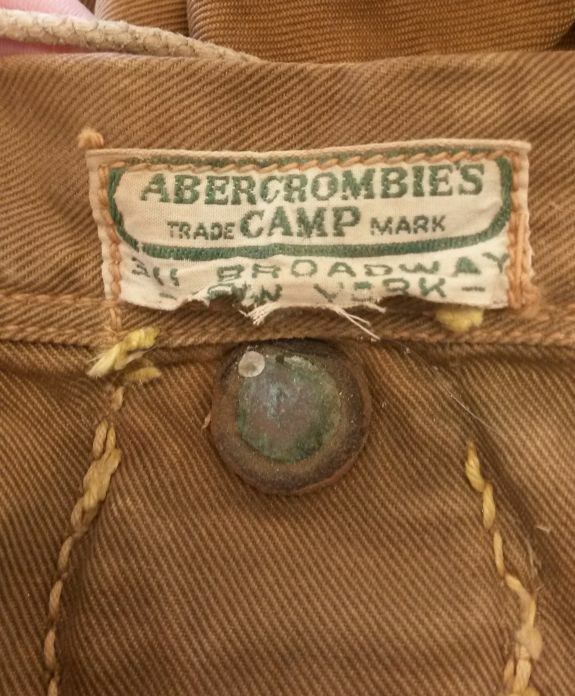 This one has a Marshall Field’s label, but I’ve seen this style in catalogs such as Sears from the late 1920s. 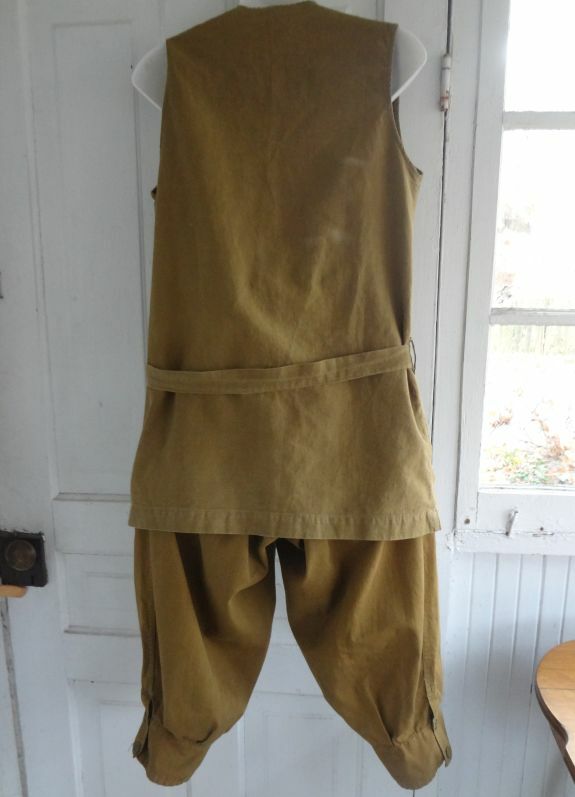 This is an odd cross between a middy and a blouse, but seeing as how it is made from cotton duck, I can safely say the intended use was for outings such as hiking and camping. The bottom band actually folds up and buttons (that’s the exposed seam you can see). I’ve seen ads for middies that proclaimed their superiority because they did not fasten at the bottom. These unworn 1920s knee socks were a very lucky find, from Carol at Dandelion Vintage. Best of all, both pairs are unworn. Just like in the photos I shared earlier, the decorative tops of the socks were worn over the bottom band of the knickers. And for the feet, a pair of Walkover brogans. Topped off with a plain wool cloche, our hiker is now properly attired and ready to walk. As a collector of women’s sportswear, I’ve been very tempted to veer into the vintage sports equipment world. 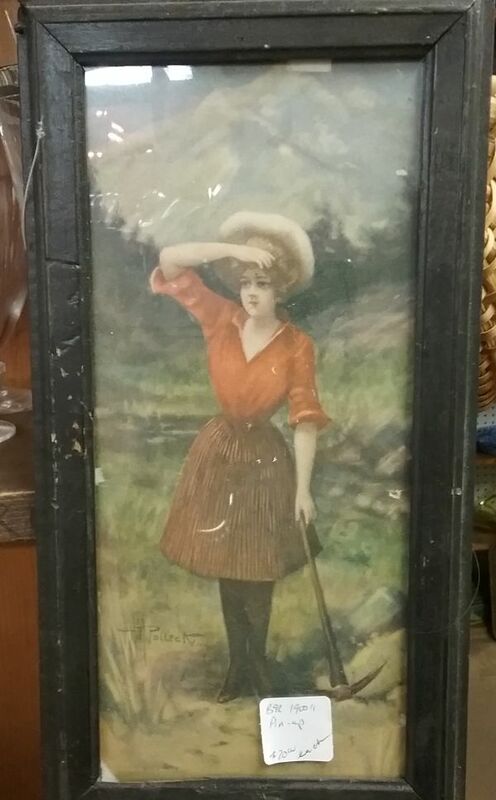 A canvas golf bag with a few hickory shaft clubs would look great with that vintage golfing frock, wouldn’t it? Or how about a nice pair of ice skates to go with the 1940s skating dress? Thankfully, common sense continues to prevail here. As of yet the only real equipment pieces I have are a pair of 1940s roller skates that were a gift, and my own 1970s tennis racket. 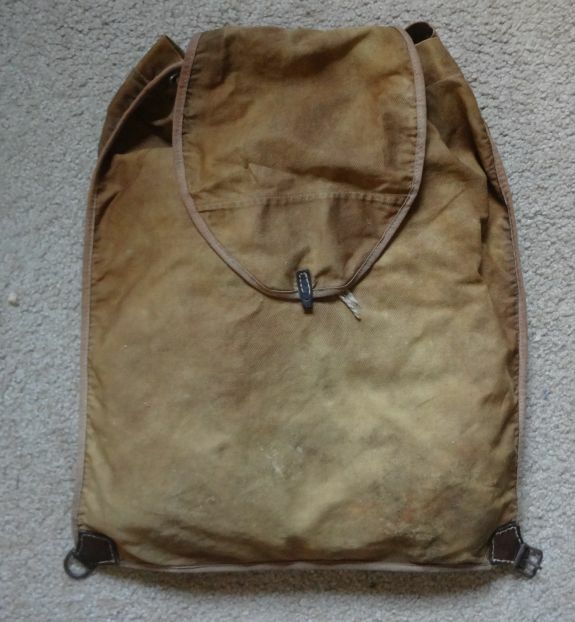 But I did love seeing this vintage backpack. 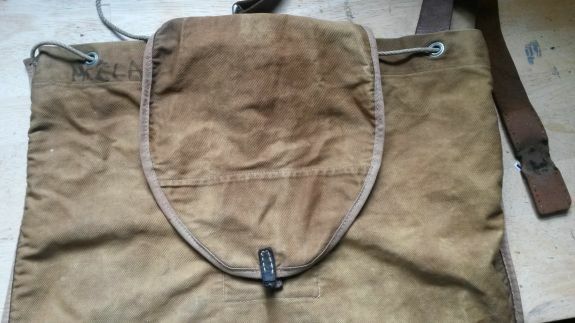 I know absolutely nothing about it, but I did find this old blog post in which a lot of people sang the praises of the Trapper Nelson. Hopefully someone will stumble by with some information. 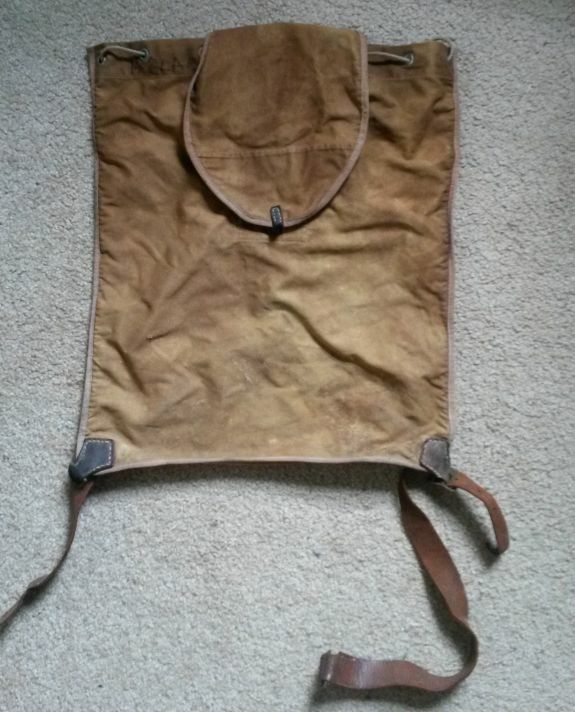 According to the seller’s tag, this Pioneer Brand Trapper Nelson Indian Pack Board by the Jones Tent and Awning Company of Vancouver, dates from the 1920s. Since this is a #3, it is possibly newer than that, as these were made for a very long time. It was priced at a healthy $125, and I have no idea if that is a good or a bad price. 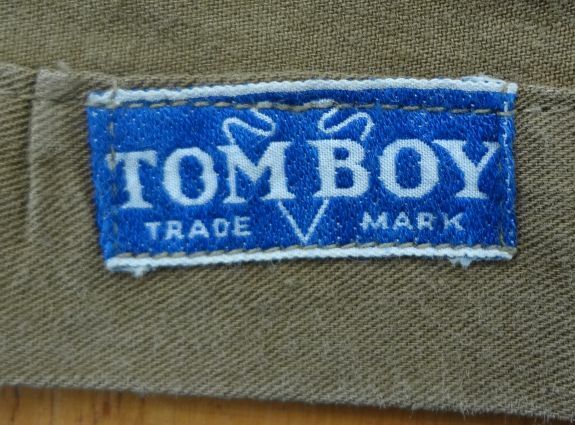 I do know that old canvas bags are currently in vogue, due partly to exposure in certain blogs that love that heritage, “authentic” look. And speaking of which, in the past year I’ve noticed that flea market and antique booths are getting darker. I mean that literally, as the omnipresent white painted shabby look seems to be waning. Considering that Shabby Chic by Rachel Ashwell was published in 1996, and by that time the look was already quite popular, I’d say it’s time to move on. But what the heck will happen to all that white painted furniture? Yesterday made it official, spring really is here. That means it’s time to get out and enjoy some nature. Fortunately, I live in an area where just a walk down the road makes that happen, and a short drive can take me to numerous mountain trails. These trails didn’t just happen. 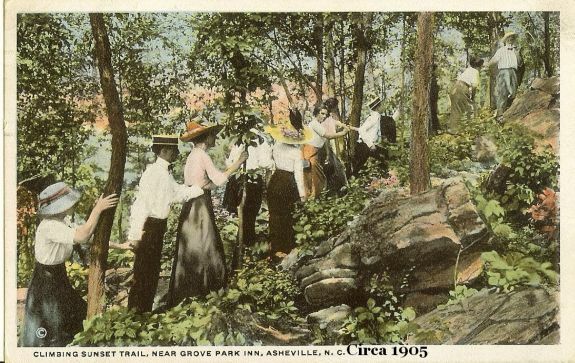 In the 1920s and 30s, hiking became very popular in this area, and in other parts of the Appalachians (ap ə ‘ lach ənz ). At the time there were few organized trails, no Great Smoky Mountains National Park, no Appalachian Trail. 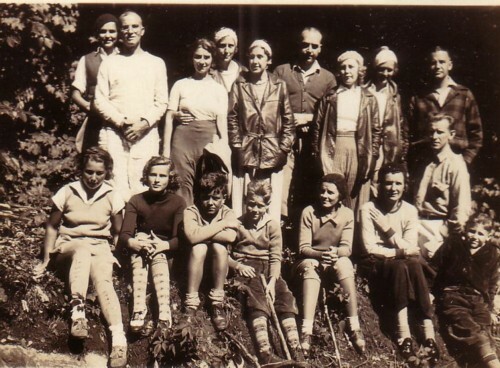 People interested in hiking began to form clubs in order to organize hiking outings. 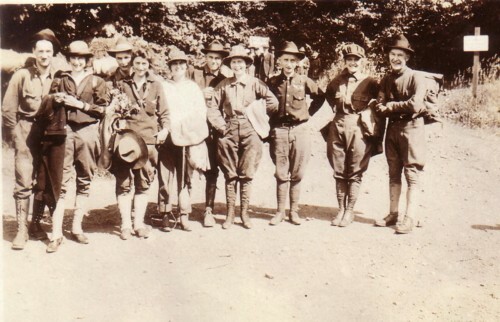 Probably the most important club in the western Carolinas was the Carolina Mountain Club. It was partly due to their efforts that the Great Smoky Mountains National Park was formed, and they were responsible for much of the building of the Appalachian Trail through North Carolina. 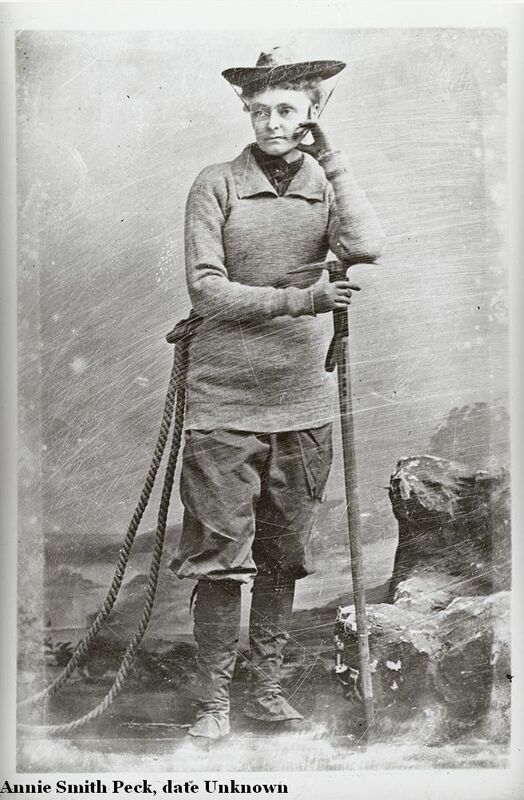 In the days before the formation of the Park, the mountains were extensively mapped by member George Masa who was assisted by several women members of the club. In looking at the archival photos of this club, it is interesting to note that there were almost as many women members as there were men. The days of women doing casual walking and calling it exercise were over! 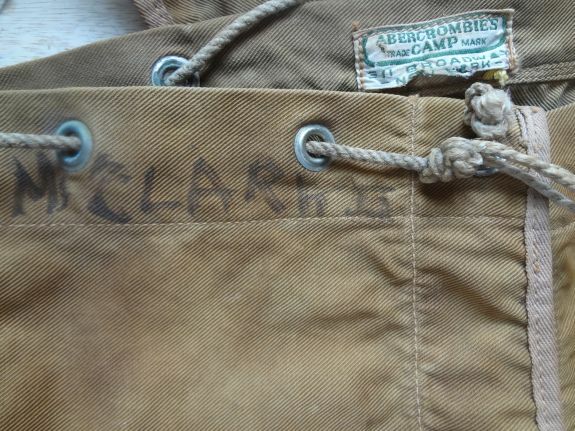 I don’t have any photos of the Carolina Mountain Club, but vintage photos of hiking clubs are actually quite commonly found. 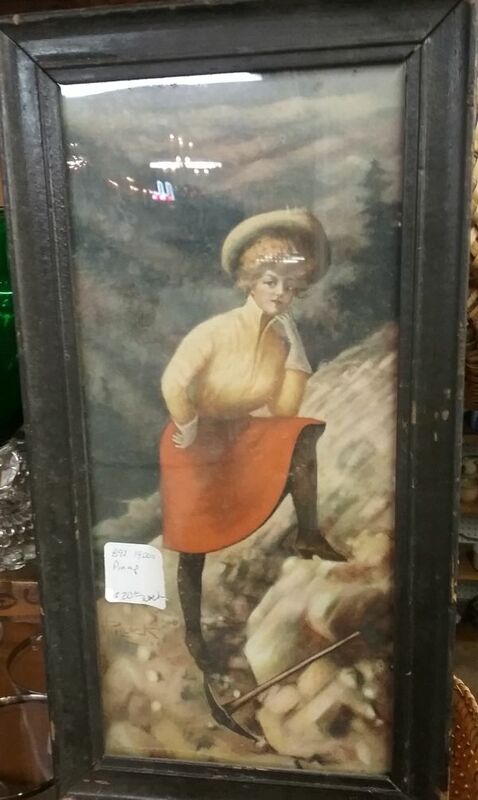 I have several from the 1920s and 30s which are, unfortunately, unidentified. Still it is interesting to study them and to note the clothing. It would be fun to borrow an idea from the Pensacola Tweed Riders, and do a tweed hike!